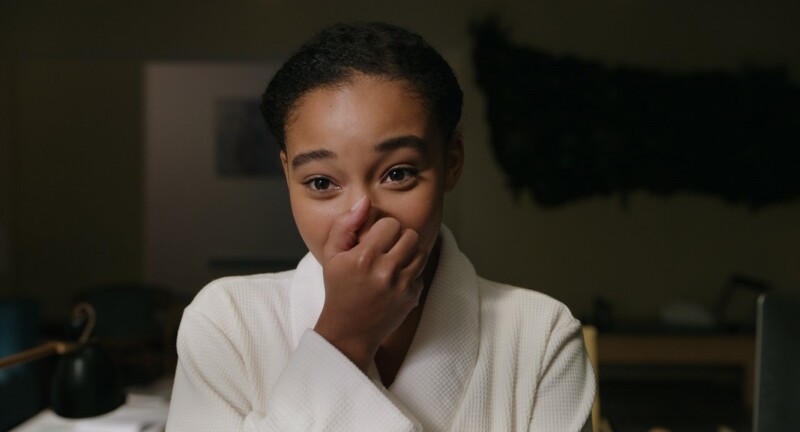 Amandla Stenberg first gained recognition for her role as Rue in The Hunger Games, alongside Jennifer Lawrence, Liam Hemsworth and Josh Hutcherson. After the success of that film, Amandla earned the 2012 Teen Choice Award with Jennifer for Best Film Chemistry. She was also nominated for NAACP Image and Black Reel Awards for that performance. Amandla made her big screen debut in the breakout role of young Cataleya Restrepo in Colombiana. In January 2016, she appeared in As You Are which premiered at Sundance. The independent film won the Special Jury Prize at that year's festival. She recently finished shooting Where Hands Touch, a romantic drama set in the Forties, directed by Amma Asante. The story focuses on the relationship between a mixed-race German girl and an SS officer in Berlin. She is currently filming The Darkest Minds, based on the best-selling series of young adult novels by Alexandra Bracken. The dystopian trilogy takes place in the wake of a mysterious plague which killed most of America’s youth population. 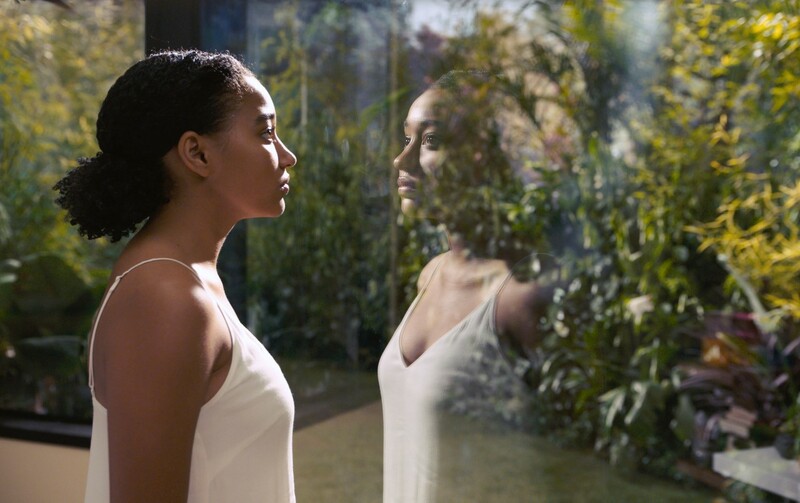 Amandla stars as Ruby, a teenager with telekinetic powers who joins a group of kids on the run from the government. She is also attached to The Hate U Give, adapted from Angela Thomas' debut novel of the same name, inspired by the Black Lives Matter movement. The story revolves around a suburban, prep school student coping with the fallout from witnessing a police officer shoot her unarmed best friend. 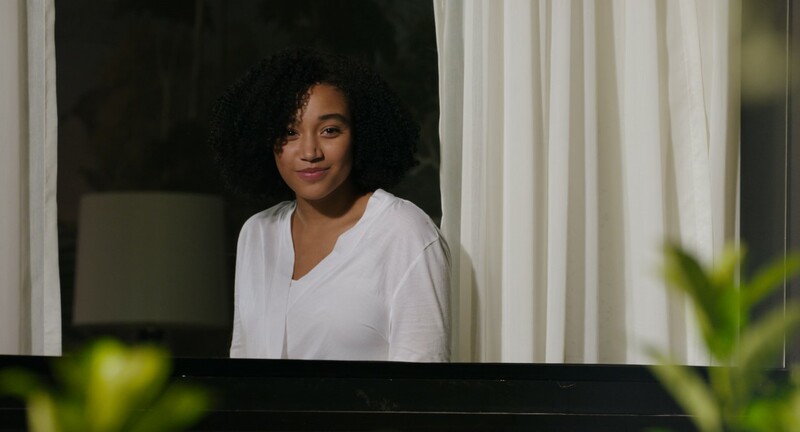 Besides acting, Amandla has been globally lauded for her crusade to improve society via thoughtful conversation, using social media as a platform to spread social awareness and knowledge. She has shared personal essays on such topics as cultural appropriation, inter-sectional feminism, biracial identity and beauty standards. Wise beyond her years, at 16 Amandla was named one of Time Magazine’s Most Influential Teens as well as the Ms. Foundation for Women's Feminist Celebrity of the Year. Furthermore, Dazed Magazine proclaimed her one of the most incendiary voices of her generation in its Autumn 2015 cover story. In February 2016, Amandla was presented the Young, Gifted & Black Award at the annual Black Girls Rock! ceremony televised on BET. Later that year, she became one of the faces of Stella McCartney’s new fragrance, "POP." A versatile talent, Amandla also plays violin and sings in the folk-rock duo Honeywater, along with Zander Hawley. Here, she talks about her new movie, Everything, Everything, where she co-stars opposite Nick Robinson. Kam Williams: Hi Amandla, thanks for the interview. Amandla Stenberg: Thank you for having me. KW: You have a unique name. 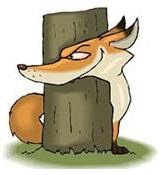 How did you come by it? AS: It means "power" in Zulu. That's pretty much the main reason why my mom picked it for me. It was also the rallying cry of the South African freedom movement. To them, it meant "Power to the people!" Amandla's the title of a Miles Davis album, too. KW: Have you seen the movie Amandla about the pivotal role music played in inspiring the people of South Africa to summon up the courage to topple the repressive, Apartheid regime? AS: The documentary, right? Yes, I have. My mom put a poster from the film up on my wall when I was little. KW: What interested you in Everything, Everything? AS: First of all, that they were considering casting someone like me as Maddy grabbed my attention because most movie romances aren't very diverse. Usually, adaptations of young adult romance novels feature white leads. So, when they reached out to me with the script, I was struck by the fact that it was based on a book written by a black woman [Nicola Yoon] who specifically created a biracial protagonist. That was something I hadn't seen before. It felt fresh to me that they were making a fairly corporate movie with a black female as the lead that would be widely marketed and distributed And I also thought it was important when I considered how many people would get to see this girl with natural hair carry the film. KW: Do you feel under any pressure for this film to succeed, so that this sort of colorblind casting continues? AS: I don't feel any pressure. I'm confident the film will do well. And whether or not it succeeds isn't necessarily dependent on me. That's not my responsibility. But I do feel proud to be a part of it, regardless. Besides, I don't really think of a film's success in monetary terms but by how it moves people. And I can already tell that black teenage girls are really excited to see themselves in a movie like this. KW: Had you read the novel, before learning about this project? AS: No, I hadn't read the book when I got the script. But as soon as I learned what it was about, I checked it out. KW: What was it like working with a black, female director in Stella Meghie? AS: It was really cool. Very special. I think we had a kind of unspoken, and sometimes spoken, mutual understanding of what it meant for us to be creating in that large, corporate environment together. It was sort of like, "We tricked them. Don't they realize what we're making?" We joked around that we were scamming them with our diverse content. KW: And how was it working opposite your co-star, Nick Robinson? AS: He's a fantastic guy. Very grounded and real. We were both kind of relieved when we first met each other that were on the same page not only in terms of acting but as people. KW: How would you describe the movie's message? AS: I think the movie's fantastical, not really based in reality. It's more of a fable or a large metaphor about breaking free of limitations that you place on yourself or that others may place on you. And it's about conquering your fears and not letting anything get in the way of living your life more fully. KW: And what was it like working with Anika Noni Rose, who played your mother? AS: Anika's fantastic as an actress and as an individual. She has so much conviction, heart and elegance. She's such a a cool person and a strong lady. Yeah. 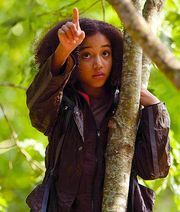 KW: Your breakout role came as Rue in The Hunger Games. How did you like making that movie? AS: I was just 12 years-old, so it was a while ago. [Chuckles] But I had a helluva time! AS: I don't know. I'm not huge on remakes, unless they do it in a new way. I think of Everything, Everything not as a remake, but as a fresh take on something we've seen before, and I like that. AS: Looking at trees while my mom pushed me around the park in a stroller as a baby. AS: I see a lot of different things. [Giggles] I see a person who is trying to make some change in the world. AS: I like cooking with my mom at Thanksgiving and Christmastime because we make turkey, and mac and cheese, yams, collard greens and all the other black staples, pretty much. AS: A favorite movie monster? I think the monsters in Ghostbusters are pretty iconic. KW: Is there any question no one ever asks you, that you wish someone would? And please answer the question. AS: I don't think so. I've been asked a lot of questions, and they've all been pretty fantastic. AS: I don't know that I have just one, exclusively. I look at a lot of different designers. Right now, I'm really feeling this brand called Self Portrait. AS: [LOL] In my wallet, you'd find my high school ID, my credit card, no cash, because I'm so terrible at ever retrieving it, a picture of the dog I had as a kid, and a tiny greeting card I found in Denmark when I visited there with my dad. KW: Thanks so much for the time, Amandla. I expect big things from you, and i look forward to interviewing you again down the line. .
AS: `Thank you, Kam. Appreciate it.